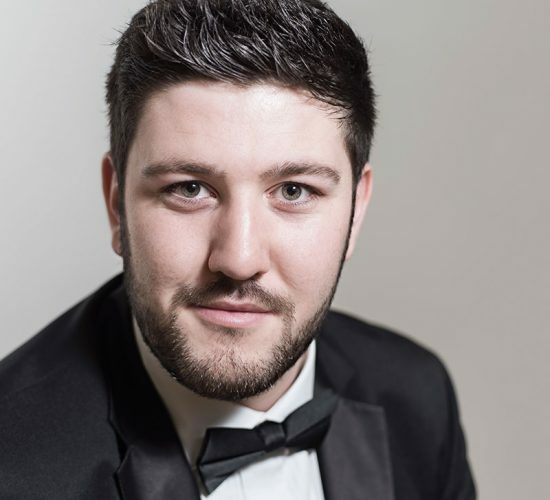 Welsh bass-baritone studied at the Royal Welsh College of Music and Drama. His roles include Cadmus in Handel’s Semele (Mid Wales Opera), First Priest/Cover Papageno The Magic Flute (Longborough Festival Opera), Farmer/Ensemble Simplicius Simplicissimus (Independent Opera), and Figaro Le Nozze di Figaro and Bonzo Madama Butterfly at the Mediterranean Opera Studio Festival, Sicily. Awards while studying included RWCMD HRH Prince of Wales Scholarship, Dame Shirley Bassey Vocal Award, and the Opera Awards Foundation who continue to give ongoing support through 2018/19. Plans include Leporello in a new production of Don Giovanni for Longborough Festival Opera in summer 2019.